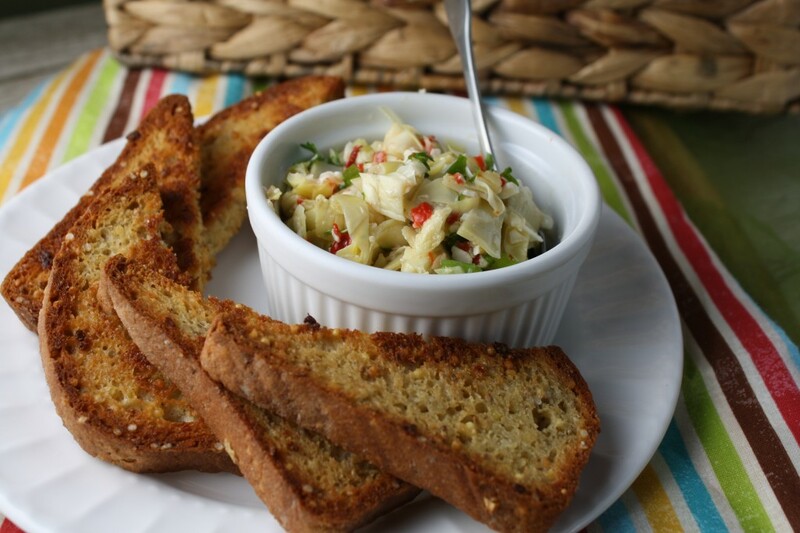 Dips and spreads are an easy way to add zing to any vegetable, sandwich, or fruit within a lunchbox. Some dips are substantial enough to eat alone, and some are perfect for coercing interest in those fruits and vegetables that sometimes get ignored within a child’s lunchbox. Here are some ideas to get your creative juices flowing! Hot Nacho ‘Cheese’ Dip: You know the nasty processed stuff they serve at concessions that all kids love? Well I have one made with all wholesome ingredients, dairy free, gluten free, and it tastes JUST LIKE the fake cheese stuff! Uncanny! Smoked Turkey & Vegetable Dip: Delicious with your favorite cracker, rolled up in a wrap, or scooped up with crunchy Romain or endive spears…this is one of my favorite light lunches! Artichoke Dip: Not your typical creamy cheese laden one, this is a light and fresh dip that can used to liven up any wrap or sandwich, as a cracker or crostini dip, or with fresh veggies. 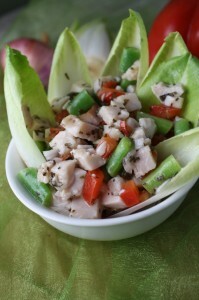 Curry Ranch Dressing @ Gluten Free Goddess: I would leave the curry out, but this looks great, and I LOVE cashew cream! I have also made a cream of soaked raw sunflower seeds, quite tasty in this application! 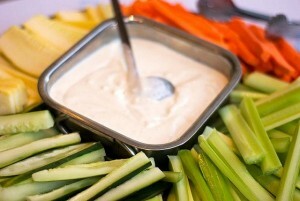 Mayonnaise-Style w/ no Mayo Veg Dip @ Whole New Mom: Perfect for all you veggie dipping! Looks outstanding! Apple-Cinnamon-Yogurt Dip: consider using a plain allowed yogurt and using honey or stevia to taste. Commercial flavored yogurt has as much sugar as a candy bar, avoid it if you can! Another strategy is to mix a sweetened container w/ half plain to reduce the sugar by half. Caramel Yogurt Dip: I would use palm sugar instead! 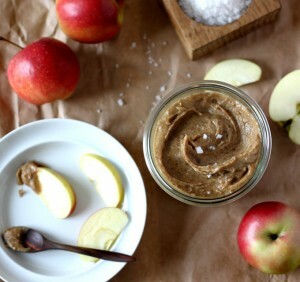 Raw Salted Caramel Dip@ My New Roots: Good land, this stuff is AMAZING! Fruit Salsa: This is always a hit, and very easily adaptable to personal preferences. I usually leave the additional sugar out, or add a little bit of honey with the lime juice! Marshmallow Creme Dip: I made my own honey sweetened marshmallow creme and mixed it with an equal amount of allowed cream cheese and enough milk to achieve the consistency I was looking for….delicious! 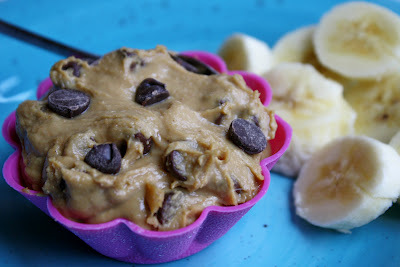 Low-Fat Peanut Butter Dip: One of my favorites…which I rarely make now since my son is IgE positive for peanuts…we avoid them and don’t buy peanut products. Sigh! So stinkin good! 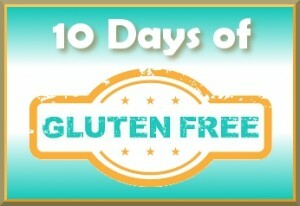 Don’t forget to visit each blog to see other helpful advise and hints! Excellent collection of light healthy recipes. Thanks for sharing these and your others on foodie friday. Great recipes!! I can’t decide which one to try first!! These all look delicious. Thanks so much for sharing at Creative Thursday. I am all for dips and veggies. So much easier than making a lunch sometimes. the peanut butter does look yummy! Peanut flour is super finely ground, so it would be different if you used almond…might still be tasty though! Let me know if you try it and it works out Christa! yum! can’t wait to try some of these! These dips look delicious! Thanks! These dips look so good, I’m definitely going to have to try some out soon! Sounds yummy! My son starts kindergarten in the fall. Need lots of lunch ideas. This is very helpful. Thank you! So glad you found it helpful Angela…the whole reason I do this! Wow, these look so good. I usually just eat hummus. I don’t eat dips much, I probably should make some healthy ones rather than eat junk food for snacks. I will definitely try these appetizers!! These sound great! The dips sound yummy! I make a black bean and corn salsa that is delicious – you have inspired me to make it. Yum can’t wait to try some of these out! I love to entertain so I’m always looking for ideas for this type of stuff. These look good. Thank you.